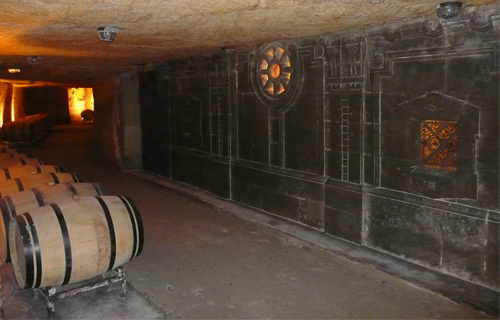 is a small local company specialized in wine tours in Bordeaux. Leave an unique and real "cultural experience" including fine wines tasting, local gourmet cuisine & personal attention. Explore the vineyard with experts and learn more about Bordeaux vineyard. From 1 to 4 days we organize personalized visit and wine tasting tours in Médoc, Margaux, Pauillac, Saint-Emilion, Cognac vineyards and we give you the opportunity to visit famous Chateaux Grand Cru Classe as well as smallest family owned wineries. 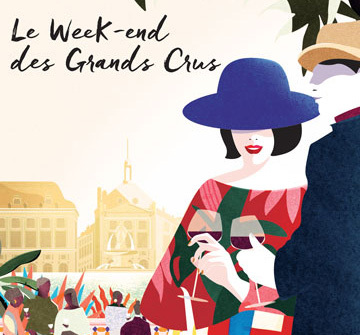 Plunge into the universe of Grands Crus and create wonderful memories during an unforgettable Weekend des Grands Crus in Bordeaux. It features several high points, including the tasting of wines from over 110 Grands Crus in the same place. This is a tremendous opportunity for meeting and discussing with château owners and their representatives and attending dinners in châteaux. If you want gastronomy, Deluxe wine tasting tour we can also tailor-made your holidays in Bordeaux or your honeymoon. Ysabel, Xavier, Chloe... our Local guides are all wine lovers and Bordeaux insiders. They know the city and the region as none else, you can trust their expertise. You will learn from them stories about Chateaux, vineyards and then, Bordeaux will have no more secrets for you. You do not have a lot of time in the region but still you want to visit some vineyards, we offer half days of wine tours. These tours are a good ways to discover some of the major vineyards in a little bit of time. You do have your own itinerary and made your own booking and visits. We provide a service of transportation all over the Bordeaux region. From a minivan to larger coach, our drivers know their way and drive you to your destination in time and safe condition. As we provide private tours and as the Chateaux do visit only by appointments, our avalaibilities of tours are always limited. Do not hesitate to contact us even long time ahead in order to be sure to get best level of service possible. We do have also created a section dedicated to the frequently asked questions. Take a few minutes to read it,you will understand better how wine tours work in Bordeaux and many of the answers to your questions are already here.